Shlomo and Jerry - A Soul Connection! 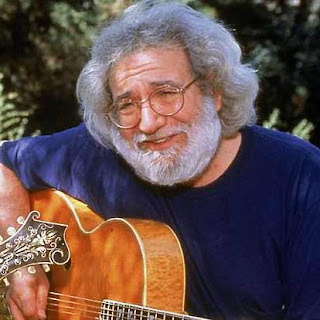 The Mystical Connection between Rav Shlomo Carlebach zt"l and Jerry Garcia zt"l ("The Marinener Rebbe") is a topic often under discussion between Steve and Lorelai as they contemplate the karmic connectivity between two of the most important influences upon the musical and spiritual lives of Jewish Deadheads. Tonight on "Sunday Night Live" we'll be joined by Uber-Deadhead Harvey Milstein who will join our ongoing discussion and offer insights into what made Jerry part of our collective soul. Tune in, Turn on and Drop in to Radio Free Nachlaot tonight after 8:30pm-ish to listen - you just may learn something new! 4:00 'ish - Jefferson Airplane from Woodstock, followed by Ornette Coleman, Thelonious Monk and John Coltrane, Van Morrison's Astral Weeks, Santana, CSN, Arlo Guthrie, Richie Havens, Paul McCartney -- and a whole lot more - some live dj'ing as well between 10 and 12, followed by and afternoon of more of the kind of sounds you've come to love, here on Radio Free Nachlaot -- and don't forget, Sunday Night Live with Steve and Lorelai, 8-11 PM Jerusalem Time! Be there - or as we like to say, we'll C Ya on the Radio!!!! Let the preperations begin! It's Thursday night and we ask the question: How do you prepare for Shabbos? Whatever the answer let us be your soundtrack - let us be your groove - ya dig? 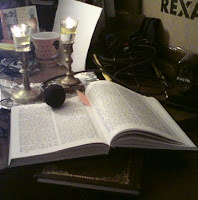 Radio Free Nachlaot, the only way to prepare for Shabbos! We're LIVE on the air 10 pm to 1 am or so, with more music all night 'til we go live and drive the bus all the way to Shabbos. Tell your friends, your neighbors, Tell YOURSELF - Music, Torah, some talking, some Jerry, some Shlomo -- it's the only way! And the Day goes on forever and the Music never ends! 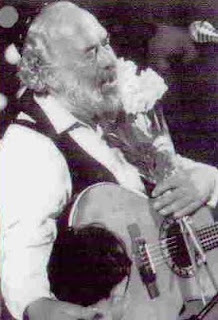 Shlomo Carlebach at the Village Gate. followed by "the men are at Mincha and the women have the blues" program today featuring Eric Clapton plays the blues, and then John Mayall and the Bluesbreakers (featuring Eric Clapton) taking us to somewher around 6:00, and we'll go free form until 7:00 'ish when Betzalel Edwards will guide us to and through some Meditation based on the Piacetzna Rebbe, followed by some jazz until Steve starts cookin' for Shabbos, sometime after 9:30 --- which opens the door for a Whole Lot MORE! stay tuned!!!!! you don't want to miss a beat! and just to wet your appetitie, we have Tony Bennet Duets (that's something Lorelai would play, right?) and Peter, Paul and Mary coming up! The Hand of G-d IS upon Us!!! The Hand of G*d is Upon Us! Wednesday's Child is full of Woe, at least Lorelai was this morning during her "Wildcard Wednesday" All-Request segment of "Morning Dew for the Morning Jew." A regular listener requested Gospel music, a Facebook discussion ensued, Lorelai played The Staples Singers "O Happy Day" and ... the entire broadcasting software system CRASHED, the stream was disconnected and listeners were left listening to .. THE HAND OF G*D! Tshuva in Real Time. No more Gospel music! 1:00 pm - 5:45 pm Rabbi Betzalel Phillip Edwards series on the Piasetzner Rebbe's "Conscious Community" continues. 5:15pm - Rabbi Sholom Brodt on Rav Shlomo's perspective on Education. L'kavod Mozart's Birthday we'll feature Mozart from 1pm - 2:30, then the beautiful piano improvisational stylings of Yosef Adest and Ariel Elisha's all-piano work at 4pm. 6pm - James Brown "The Godfather of Soul" Live at The Apollo (1963) - a classic! 7pm - Robert Earl Keene "The Party Never Ends"
8pm - The Grateful Dead 100 Years Hall (April 1972) - a flawless recording! "My Man is at Mincha and I'm at Home Singing The Blues"
Tuesday debuts a new afternoon feature : "My Man is at Mincha and I'm at Home Singing The Blues." Dedicated to the women of our community whose live-in male counterparts (of the husband-like varietal) disappear each day to make a Minyan (and sometimes don't re-appear until after many more than 3 stars are visible). This morning at the end of Lorelai's "Morning Dew for the Morning Jew" show we heard almost an hour of "The Bluegrass Sessions" l'kavod our friend Shmuel Lysles, who loves bluegrass and we love him, so we oblige his request. 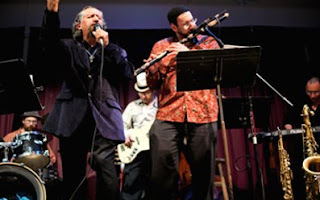 1:00 pm - 6pm : "Israeli Soul Afternoon" Starts with Rebbe Nachman's Tikkun HaKlali, and continues from about 2:20 - 5pm with our special "My Man is at Mincha and I'm at Home Singing The Blues." segment featuring music from Billie Holiday, Nina Simone, Muddy Waters, Bobby Blue Bland, Ruth Brown, Elmore James and the Grateful Dead, and wraps up with Shlomo Katz's "Malei Olam" album. 8pm - Santana's "Dance of the Rainbow Serpent"
... and then just to top it all off - more Bluegrass Music after Midnight - we're gonna let it all hang out! So we are now in possession of the ENTIRE, complete official "bootleg" version of WOODSTOCK. Yes, the whole thing. No, we're not going to play the whole thing all at once - at least not yet. However we will be playing a nice chunk of it this evening on Radio Free Nachlaot! Last night Steve and Lorelai had their special guest, Oneg Shemesh in-studio and received much nachas and simcha, especially from the audience response, much of which went along the lines of: "It was just like hanging out with you guys in your living room!" That's EXACTLY what we're going for here at RFN, that "hanging out with us at home" kind of feeling. When people ask what's our format / genre we like to say, "It's just us, playing radio & making you feel like you're right here with us at home." Welcome Home to Radio Free Nachlaot. Take off your shoes, make yourself comfortable ... may I get you something to drink? 4:45pm - Rabbi Chaim Richman - "Should We Build The Holy Temple? 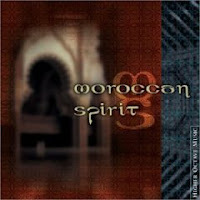 Part 1"
6pm - Moroccan Music Monday. Very chillax "Betten Gav" music! 8pm - WOODSTOCK, BABY~! 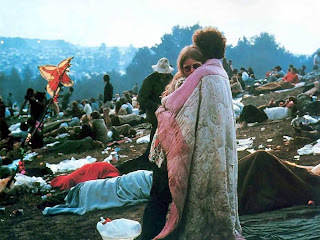 We're going to be playing Woodstock music from 8pm until about 2am, featuring Santana, Ritchie Havens, Sweetwater, Arlo Gutherie, Country Joe McDonald, The Incredible String Band, Creedence Clearwater Revival, Janis Joplin, Sly & The Family Stone, The Who, Sha-Na-Na, Crosby Stills Nash & Young and the Paul Butterfield Blues Band. Get Your Oneg On! Oneg Shemesh Tonight! Oneg Shemesh joins Steve & Lorelai tonight on "Sunday Night Live" - Gevalt! The Show starts around 8:30pm-ish tonight (Sunday), Jerusalem Time, of course! Oneg Shemesh grew up in Israel on Moshav Mevo Modiim founded by the late Rebbe Shlomo Carlebach, Z”L. He had the great privilege of spending much time with the Rebbe, accompanying him on guitar and drawing from his wealth of knowledge. 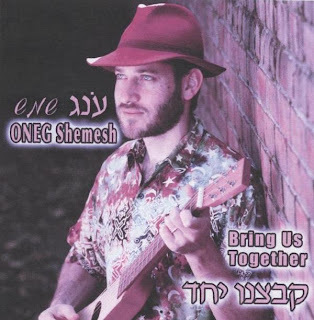 After fin...ishing his army career, Oneg joined The Moshav Band and toured with them throughout Israel, the United States and Canada. He presently lives in New York and has been performing concerts wherever Jews are found, bringing joy and happiness to communities around the world while trying to live up to his name ONEG which means utmost joy. Shavua Tov everybody! We're starting the week off with a Melave Malka set to go after 8:00 PM, J'slm time, with our special friend Rabbi Betzalel Edwards planning to stop by -- Let's keep the shabbos spirit going the Radio Free Nachlaot way!! C ya on the radio! We're still COOKIN' PRE-SHABBOS round here - how 'bout you? Today's soundtrack 'til Shabbos - Unknown - but there will be Torah, and Jerry, and Shlomo, Raza D'shabbos (Rocky and Aharon) after 3 - and a whole lot more! Tell your friends -- come Cook with Us!!! Good Shabbos, Good Shabbos! 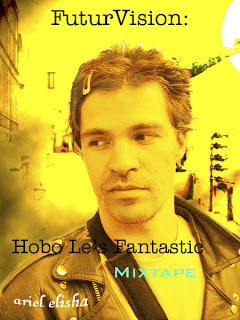 Shabbos is Coming everybody, and your weekly soundtrack is back - so get your work done, and RELAX! Radio Free Nachlaot is proud to present the debut of "HaOrot," the Poetic Lights of Rav Kook, performed by Greg Wall’s Later Prophets Featuring Rabbi Itzchak Marmorstein. on today's "Israeli Soul" show. Not to be missed! Yishai Fleisher's "KUMAH" Project THE ALIYAH REVOLUTION featuring Aharit HaYamim Hai, the Moshav Band, Reva l'Sheva, Neshama Carlebach, C. Lanzbom and Noah Solomon, Menashe Neshama Ensemble, Chaim David, Shlock Rock, Yood, Gershon Verboa, Naftali Abramson, Benzion Lehrer, Aspaklaria, The Footsteops, Aaron Razel and Evan Sh'Siyah. 6pm - "Betten Gav" with Jean-Luc Ponty, Al DiMeloa and Stanley Clarke's "Rite of Strings"
8pm - Arlo Guthrie "Alice's Restaurant"
9pm - STEVE LEVINE takes over with his "Cookin' for Erev Shabbos" Show sometime between 9 and 9:30pm tonight ... stay tuned! Almost Famous . . . Almost! 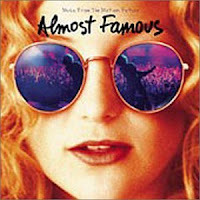 Some say "Almost Famous" (the 2000 Cameron Crowe movie starring Kate Hudson and Billy Crudup) was based on the band, Sweetwater. Urban legends notwithstanding, Radio Free Nachlaot is proud to present Sweetwater's 1968 eponymous album tonight! Today's schedule has been heavily influenced by dreams of Mexican food, specifically - kosher fish tacos. 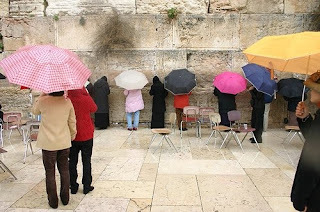 We can dream - one day, it will happen, right here in Jerusalem. Maybe even tonight. Lorelai (who in fact IS "Almost Famous," especially amongst those who actually know her!) continues her "Morning Dew for the Morning Jew" Show until 1pm. 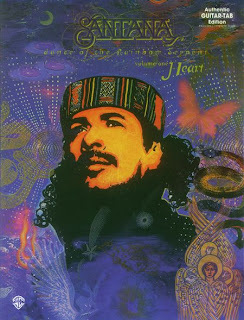 The theme is morning is a "combina" of Latin-influenced artists such as Santana, Afro-Cuban Allstars, Gypsy Kings, Paco deLucia and Cheech & Chong, combined with "Freedom"-themed songs (l'kavod Parshas Bo). 1pm - 6pm : "Israeli Soul" with David Dome, Benzion Eliyahu Lehrer, Beit Habubot, Knesiyat HaSechel, and Eyal Golan. 6pm : "Betten Gav" Chillaxation Show featuring George Harrison's "All Things Must Pass." 7pm : "SWEETWATER" - 1968. They OPENED Woodstock, for G*'s sake! Don't miss this classic! 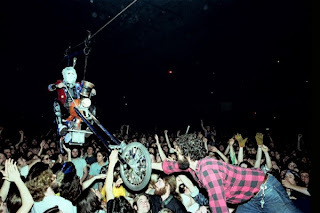 10pm : Jerry Garcia Band - Warner Theater, Washington DC (March 1978)... sweet! 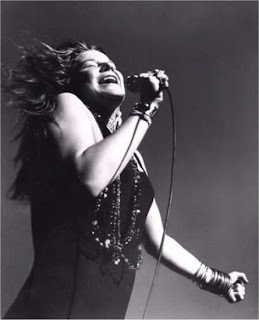 Today would have been Janis Joplin's 67th Birthday ...which for some reason is astonishingly hard to fathom (although it isn't hard to imagine her as a hard-cord Cougar in this day and age). The mind boggles to realize Janis was only 27 when she died of a heroin overdose in 1970, leaving behind a legacy of passion-fueled music, unfulfilled emotional yearning and estrogen-inspired angst which has inspired singers from Stevie Nicks to Chrissie Hynde and everybody in-between. 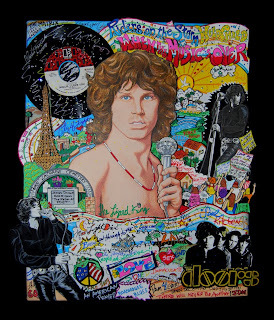 Lorelai's "Morning Dew for the Morning Dew" show is a tribute to Janis, with other artists interspersed & getting off on occasional tangential musical paths - but all roads lead to Janis (listen for the common themes within the set list). "Israeli Soul" from 1pm - 6pm is for women! Meirah Miriam Bet- Dovid and The Gan Eden Project, Neshama Carlebach, "High Windows," Nomi Teplow, Ofra Haza and more! We'll be featuring Rena Richman's Torahs on "Rachel and Leah" (Parts 1 & 2) as well as her Torah on "Dina, Daughter of Jacob and Leah" to round out the female-centric afternoon programming. 6pm - Carole King "Tapestry"
8pm - Joni Mitchell's 1972 Live at Carnegie Hall Concert, followed by James Taylor & Joni Mitchell Live at Radio City (1970). OK, James isn't a girl, but we'll let him play anyway. I See The Future and It Looks . . . Wet! 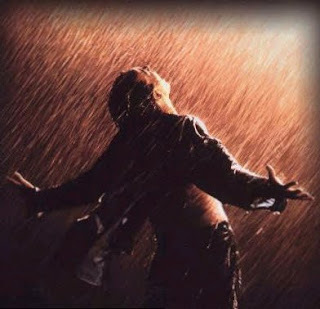 Rain is giving us "FuturVision" - our very own Ariel Elisha Leon Rosen, of whom it has been said, "Ariel Elisha is so talented that G_d had to hide him!" 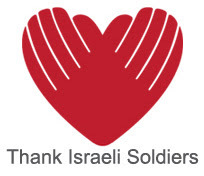 (Avraham Sand) will be featured on this afternoon's "Israeli Soul" program. Tonight at "Avram's Cafe" in Jerusalem (90 Yaffo at the Binyan Claal) Ariel Elisha and Matan Goldberg perform a Duo/Trio Night as Tom Waits - songs and stories - with special guest appearances not to be missed. Rabbi Betzalel Phillip Edward's series on "The Chevrya" will air at 1pm and 5:45pm, and we'll also enjoy the music of Oneg Shemesh, Laura "Liebe" Schulman's old-time banjo classic "Pretty Little Dog," HaBanot Nechama, and selections from Leonard Cohen's "Live in London" concert. 11pm - CARLOS-FEST! Yes, Radio Free Nachlaot is going to see Carlos Santana LIVE in Israel on June 3rd (thanks to Divine Intervention and H. "Shtarker" M. :) ) and to begin the build-up to this climactic event, we'll be playing 1972's Carlos Santana and Buddy Miles Live album, followed by 1973's Love, Devotion, Surrender and 1976's Festival. Whew! After all that Carlos ... rain songs all night into the Wee Small Hours of the Morning ... then right back with you again with Lorelai's Tuesday Edition of "Morning Dew for the Morning Jew" Show. It started last night ... "Thunderbolts and lightening, very very frightening..." although of course we were far more delighted than we were frightened, as we watched in awe as massive thunderbolts lit up the Jerusalem night skies ... l'kavod the much-needed, much-prayed-for RAIN we're finally (Baruch HaShem!) receiving in Jerusalem (and throughout ALL of Eretz Yisrael, from Rosh Pina in the North to Elat in the South) we're celebrating STORMY MONDAY on Lorelai's "Morning Dew for the Morning Dew" show - stay tuned for wet, wild & wonderful tunes - make sure you step outside and catch raindrops on your tongue, it's a segula for good things to come - don't worry about looking silly (Heaven knows we endorse a healthy amount of silliness here at Radio Free Nachlaot, it's good for body and soul) - stay inside & declare a "Jammie Day," or run splashing through the streets - any way you choose to enjoy the day - celebrate the wetness! Tell your friends, tell your children, make your popcorn, and take a Radio Free Nachlaot Ticket to Ride on our Magical Mystery Tour and revisit our Beatle memories together. Sunday Night - 8:00 - 11:00 pm, Jerusalem time! Shavua Tov - Motzoei Shabbos means Melave Malke, so finish the dishes (husbands) pour your beverage of choice and settle back and Melave Malke with us -8 - 11 Jerusalem time. Shavua Tov!! It's Thursday Night -- are you cookin' with Steve? Tell your friends to come and enjoy the ride!!! Music - Torah from R' Shalom, a visit from our "friend in the desert" and a whole lot more!!! Winterland - New Year's Eve 1977 - The Legend Relived! Our "normal" (whatever that is) programming for Thursday is slightly tweaked due to the emergency call to Fast-and-Pray for Rain. The "Israeli Soul" afternoon will continue with music from Aharit HaYamim, Akiva Gersh and Shlomo Katz. We'll hear special "Bat Melech" Torahs from Rebbetzen Rena Richman - "Rachel & Leah - Part 1" airs at 3pm, "Rachel & Leah - Part 2" airs at 6pm. Starting around 6:30pm we'll enjoy THE GRATEFUL DEAD 1977 NEW YEARS EVE SHOW AT WINTERLAND, yes folks this is THE show, the legendary story of how Lorelai found herself backstage at Winterland (thanks Donna Jean Gottchaux for opening the backstage exit door in the underground parking lot at Winterland), met BOB WEIR at the top of the stairs who gave her a kiss and a beer, saw JERRY but was too overwhelmed with awe to speak to him, and was busted by / allowed to stay by BILL GRAHAM. 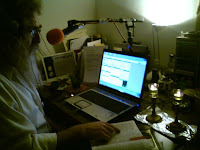 After the show, b'ezrat HaShem - STEVE LEVINE'S COOKIN' FOR EVEV SHABBOS SHOW sometime after 9:30pm - stay tuned! 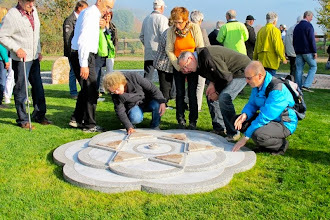 We heard more from Lorelai on Tevet, the conjunction of Sun, Moon, Mercury, Venus, Pluto and the Moon's North (True) Node in Capricorn, culminating with Friday's Partial Solar Eclipse (9:11am, Jerusalem Time) this morning on her "Morning Dew for the Morning Jew" Show. 1:00 pm - 6pm - "Israeli Soul" - today featuring music from a few SABRA Israeli Reshonim: "Rough Guide to The Universe," High Windows, Eyal Golan, Kaveret (a.k.a. "Poogy" otherwise known as "The Israeli Beatles"), Tammuz and relative newcomers, Matisyahu and HaDag Nahash. 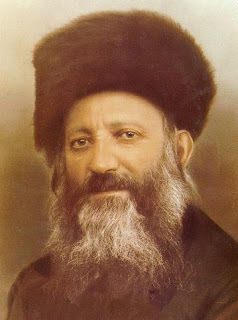 Rabbi Betzalel Edward's series on the Piacetzner Rebbe's Torahs continues at 1pm and 5:45pm. Rebbetzen Rena Richman's "Bat Melech" Series airs at 3pm, Part 1 of her insightful and sensitive series on "Yosef and His Brothers." 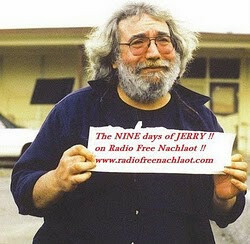 6pm - "Betten Gav" Show - chillax with Sanjay Mishra & Jerry Garcia's Blues Incantation. All designed to energetically re-balance your day and night! 1 - 6pm "Israeli Soul" Afternoon featuring the music of Raz Hartman, RebbeSoul (Bruce Burger), Semantra and it's predecessor, Eden Miquedem, the Moshav Band, Neshama Carlebach & Simply Tsfat. 10pm - Bob Dylan & The Band - Before The Flood (2 CD-Set) !!! 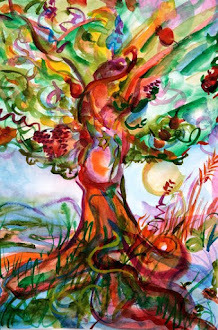 Monday Music & More on Radio Free Nachlaot: Lorelai's "Morning Dew for the Morning Jew" Show until 12 Noon, capped off with a long set from The Incredible String Band (Thanks H!). "Israeli Soul" from 1 - 6pm today featuring Ariel Elisha, Benzion Eliyahu Lehrer, Meirah Miriam Bet-Dovid & The Gan Eden Project, Ehud Banai, Shir Yaakov Finestein-Felt & Darshan, Rabbi Chaim Richman's Parsha Shavua on Vaera, Rebbetzen Rena Richman's Bat Melech Series on Yosef & His Brothers (Part 1), and more. 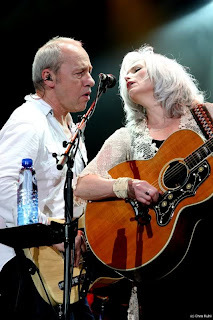 At 6pm-ish we'll enjoy our "Betten Gav" Chillaxation hour with Paul Simon's "Graceland," and at 7:00pm we'll listen to The Top 100 Hits of 1971 (you'll feel young AND old, simultaneously) . . . 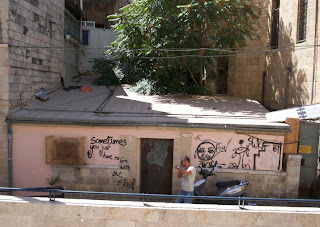 It's all about Going With The Flow, people - right here in the heart of Nachlaot, Jerusalem's coolest neighborhood - not JUST a neighborhood, but a State of Mind. 8:00 - Sunday Night Live with Steve and Lorelai -- right here, from our undisclosed location, deep in the heart of Nachlaot!!! Be There - and tell your friends!!!! Shavua Tov! It's me, the music, some Torah - It's Motzoei Shabbos, after all... and don't forget - R' Betzalel Edwards on the hour (or so ), Rabbi Richman, and a whole lot more!!! 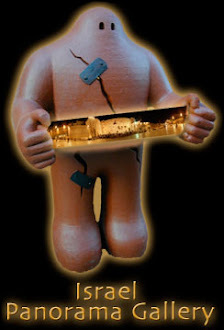 but not too worry -- we'll get back to Yerushalayim before Shabbos.. I can't believe it's Shabbos already! Let's get ready together and make the sweetest Shabbos ever! 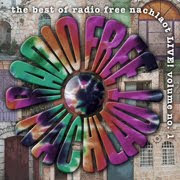 Radio Free Nachlaot will add that special spice you can't find anywhere else. Music, Torah - R' Betzalel Edwards, R' Chaim Richman, - what else do you need!! Thursday on Radio Free Nachlaot -Here's what we have scheduled for today - all times are Jerusalem Time! 12:00 pm - ish O Brother, Where Art Thou? 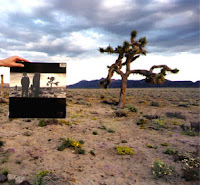 6pm - "Betten Gav" Show - Chillax with 'Moroccan Spirit"
7pm - Rolling Stone Magazine's 50 Greatest Albums of All Time Show - U2 "JOSHUA TREE"
B'EZRAT HASHEM STEVE'S COOKIN' FOR EREV SHABBOS SHOW TONIGHT - STAY TUNED FOR AN UPDATE! In honor of The Rambam (Moses Maimonides, also known as Rabbi Moshe ben Maimon or the acronym the Rambam רבי משה בן מימון‎; Hebrew acronym: רמב"ם; in Arabic: موسى ابن ميمون‎ Mūsā ibn Maymūn, short for ‏ أبو عمران موسى بن عبيد الله ميمون القرطبي Abū ʿImrān Mūsā bin ʿUbaidallāh Maimūn al-Qurṭubī), whose Yartzeit is today 20 Tevet we present selections from The Rambam's "Sefer HaMitzvos" as well as Rabbi Chaim Richman's study through Maimonides on the subject of "The Holy Temple: Man-Made or Heaven-Sent," punctuated by the hypnotically beautiful music of Moroccan Spirit (in honor of The Rambam's sojourn in Morocco after leaving Spain before he came to Egypt) beginning at 2pm today (Wednesday) and continuing throughout the afternoon. Stay tuned !!! 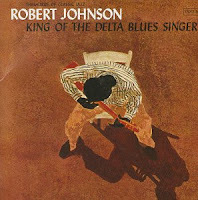 It's Tuesday Night Blues tonight after 8pm (Jerusalem Time) on Radio Free Nachlaot - featuring Robert Johnson's "King of the Delta Blues Singer," the 1961 compilation album considered by many to be "one of the greatest and most influential blues albums ever made." 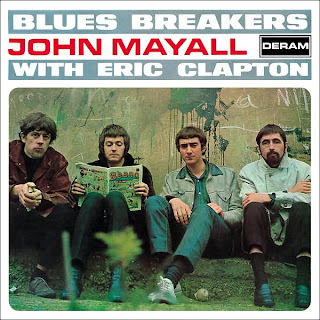 Chosen as Number 27 of Rolling Stone Magazine's 500 Greatest Albums of All Time, this album changed the course of musical history by its intense influence (as stated repeatedly by both) on both Bob Dylan and Eric Clapton. That's just how we roll around here at Radio Free Nachlaot. We're all about changing your life with music. Rabbi Chaim Richman - Sunday Night LIVE! Rabbi Chaim Richman joins Steve and Lorelai tonight, Sunday January 3rd 2010 on our "Sunday Night Live" show - Rabbi Richman, who is the Executive Director of the Temple Institute's International Department and a card-carrying member of Tzibur B'nai Yisrael, has what to share with us regarding such important subjects as The Holy Temple, Israel, The Jewish People, Geula (Redemption) and Bob Dylan (one of his favorite latter-day prophets). Tune in TONIGHT, Sunday January 3rd after 8:00pm Jerusalem Time to hear Steve & Lorelai "play radio" with Rabbi Richman - you're in for some wonderful surprises! Steve on Tzibur B'nai Yisrael's "Blue Card" Program - It's All About Personal Responsibility! get your dishes done (husbands!!!) and join us!